FRAMINGHAM – Saturday, October 20 will be Devin Suau Day in the City of Framingham. Every one is asked to do an act of kindness or friendship on Saturday in honor of Devin, who died last year on October 20. On Tuesday, on the request of District 4 City Councilor Mike Cannon, the Framingham City Council unanimously declared Saturday Devin Suau Day. Today, the Mayor’s office said the Mayor will declare Saturday Devin Suau Day too, by reading a proclamation on the steps of the Memorial Building. 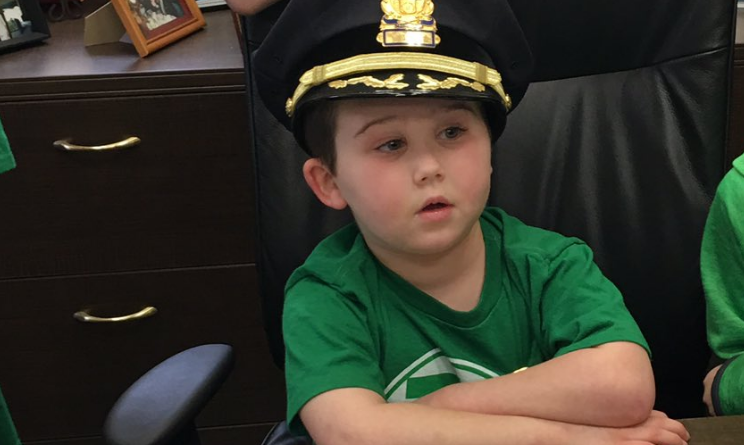 “The Office of the Mayor is honored to announce Saturday October 20, 2018 as Devin Suau Day in memory of a young Framingham citizen who lost his battle with cancer a year ago. The #whynotdevin movement brings awareness to Diffuse Intrinsic Pontine Glioma (DIPG), a rare pediatric cancer with no cure. The Mayor will share the proclamation with Devin’s family on Saturday on the front steps of the Memorial Building at 1:00 p.m., and the building will be lit up in green lights to symbolize Devin’s favorite superhero, the Green Lantern,” said a press release from the Mayor’s Office today, October 18 after 5 p.m.
On Sunday, October 21, a day after Devin Suau Day, a 5K road race is being held in Devin’s memory to raise awareness about DIPG and to raise funds to find a cure and help the #WhyNotDevin Foundation. To run or walk in the race, click here.